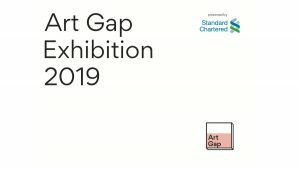 Held during the World Art Dubai at the Dubai World Trade Centre from 3rd to 6th April 2019, the ‘Art Gap’ exhibition aims to add local voices to the global conversation. According to the 2017 Gender Bias in Art study, titled “Is gender in the eye of the beholder?” and published by University of Oxford: art work by women sells for 47.6% less than work by men. Even where art work was produced through artificial intelligence, respondents consistently ranked works they believe to have been made by female artists lower. The event, devised by TBWA\RAAD Dubai, will be an ideal platform for women artists in the UAE, to come together and make a powerful statement by painting 47.6% less. “Organising this event reaffirms the Bank’s commitment to the national agenda, which aims to make the UAE one of the world’s top 25 countries for gender equality by 2021,” she added.